Call me crazy, but decorating, re-decorating and re-arranging relax me. Last week was super busy - as will the weeks ahead be [more on that later] so this weekend we got to work on what we'll call the "media room". Because we originally we'ren't going to finish that space and ended up psuedo doing so- I can't start from scratch just yet. But - I think a lot of people find themselves at this place and I wanted to share how I plan to make a big change on a small budget. Of course we all have ideas of how we would like a room to turn out in our perfect world - but I'm sure your pinboards are brimming with inspirations you might be just as thrilled with. For this particular project - I don't need tons of furniture. 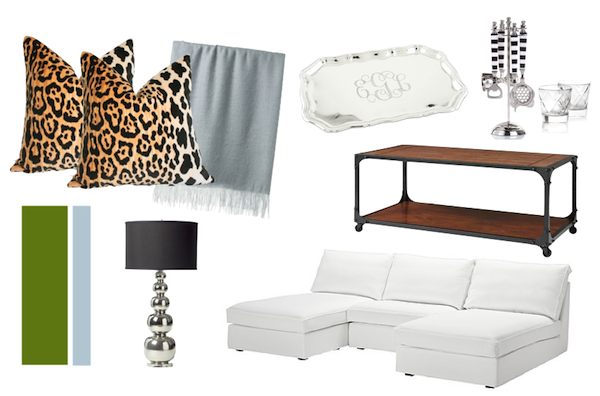 A sofa, coffee table, lamp, and a few accessories. So I started by looking around, scoping out my storage closets and figuring out what I had [a lamp, pillows, a throw, and some bar accessories] If you need larger pieces, i.e. a sofa see what you can repurpose from other areas of your home, or surf your favorite second-hand sites. Next, I went through my pinboards and pulled aside pictures that I liked, and also knew I could use as inspiration based on the items I already own. 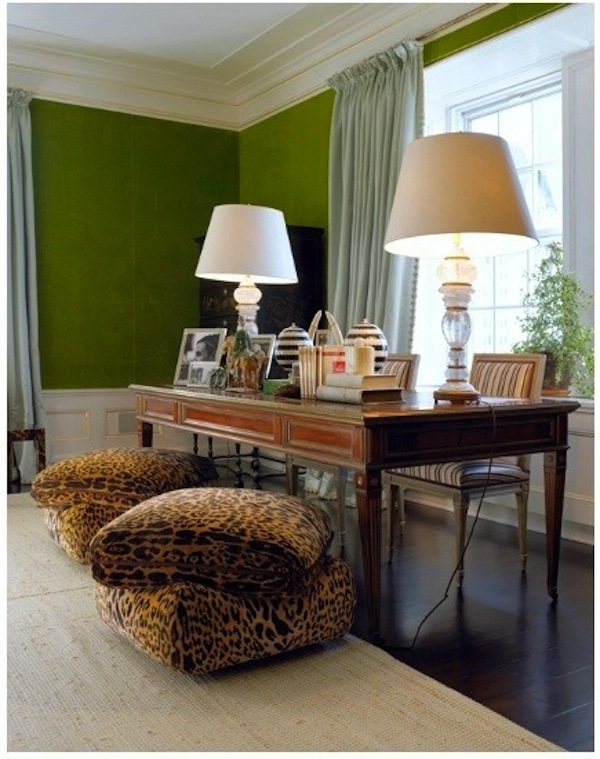 Pick out the details in your pieces that match certain aspects in the room you like. The shape of cushions, the sheen of the drapery panels, the scale of the lighting fixtures, the pattern of the accessories. If you have your own pieces with those qualities but not necessarily on the same pieces - use them anyway! I love the plan! It looks so comfy and warm and it is amazing what good taste can do on a budget!